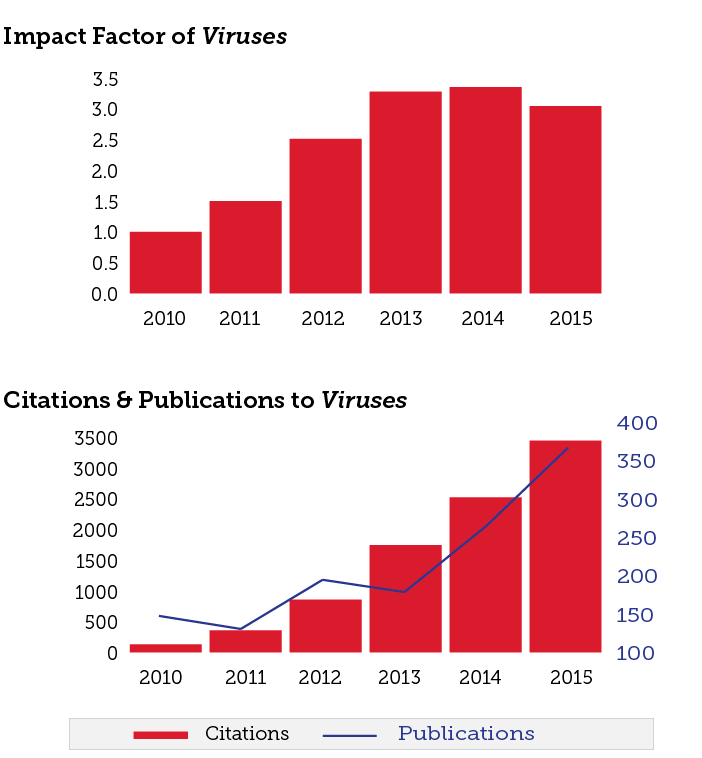 Viruses has received a new Impact Factor of 3.042 for 2015 in the latest release of the Journal Citation Reports® Science Edition, published by Thomson Reuters in June 2016. The five-year Impact Factor is 3.437. Viruses now ranks 14/33 (Q2) in the ‘Virology’ category and thus ranks third highest of all Open Access journals in virology.